Python interpreter is available in Axl from the git repository. 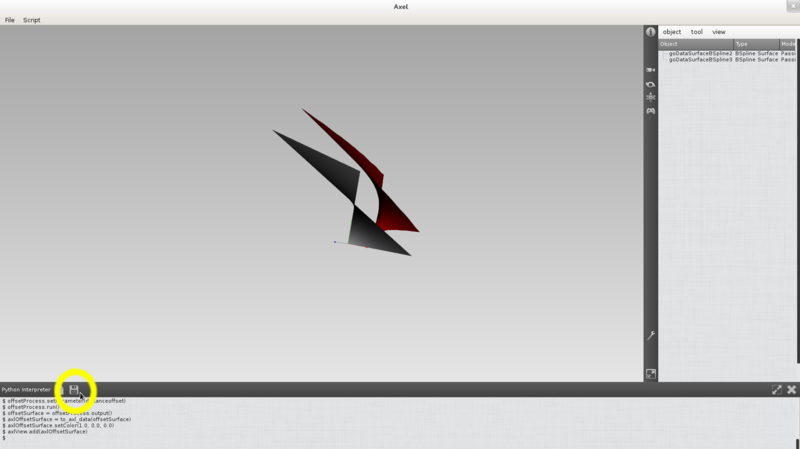 You will find it in Axl distributions, for versions > 2.3.0. Use the text editor as Python console. The text editor can interact in real time with Axl main window. It means that you can access to data or processes created in Axl windows or send new data to the view via the interpreter. 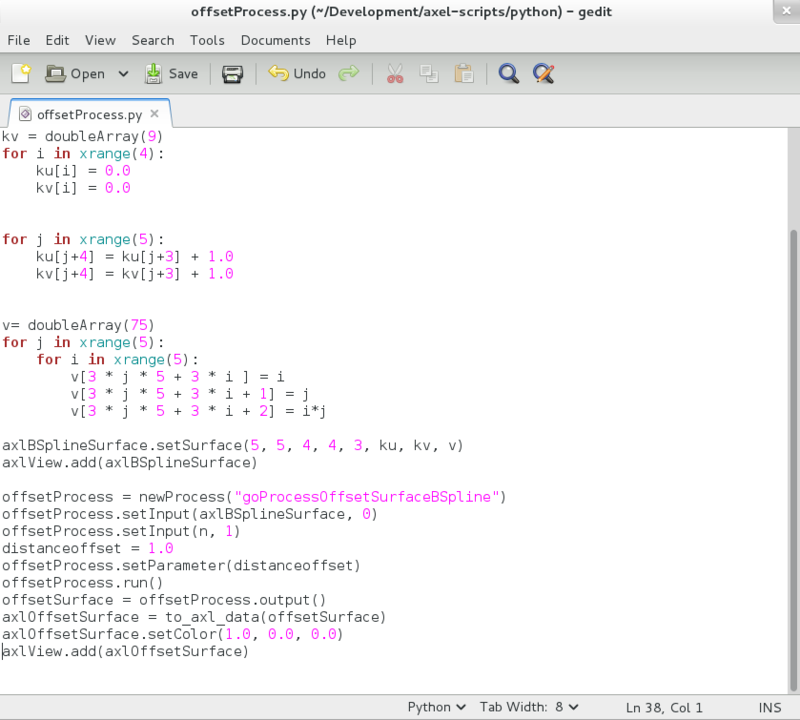 By pressing enter your send you current command to Python interpreter. 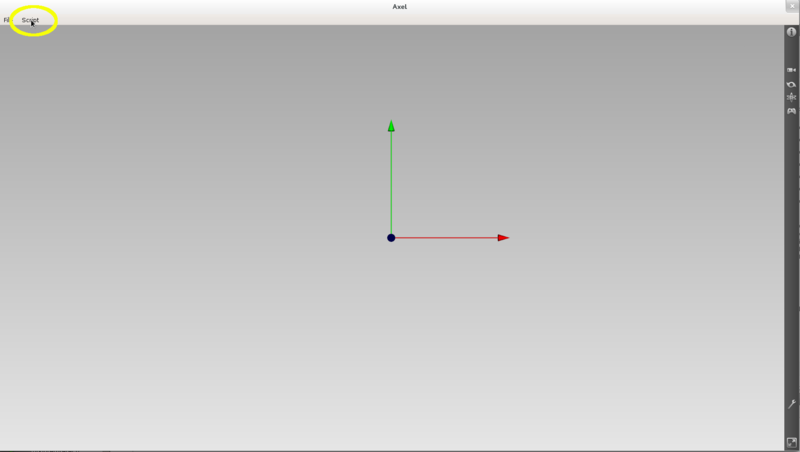 To the line without sending the command, you can end the current line by :. Then by pressing enter, you will just go back to the next line and continue your current command. To really send you command, you need to press enter twice. < - How to create an atomic data ? How can you add a data to the view ? How to use a data type provided by a plugin ? newData is a helper function that will search inside the data factory if any axl plugin can create an axlAbstractSurfaceBSpline using the plugin bspline implementation. How to use a process provided by a plugin ? newProcess is a helper function that will search inside the process factory if any axl plugin can create a dtkAbstractProcess using the plugin offset process implementation. All input commands are stored into a temporary buffer that you can use to write and save a Python script.